Infinex is crossing its borders, and Hot S3X has just announced many new features that will hit the world in a truly positive way. Now with this new phone, go and break the border with Infinix Hot S3X which will be your best companion on all your travels. The finishing touches will look amazing in three beautiful colors. The Infinix S3X will be painted in black, gray and blue colors, all of which shine just like the stars in the galaxy. 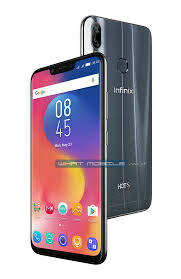 You can get it as a Galaxy from Samsung because after the Infinix Hot S3X is detected you will see with your eyes that it is much better than Samsung or Huawei. The list of specifications you will meet with the Snapdragon 430 along with the 3GB RAM of the Infinix Hot S3X and 32 GB of internal storage. The screen size of the tool is 6.2 inches and the inside IPS matrix will work power 500 degrees of brightness for the Infinix S3X user. 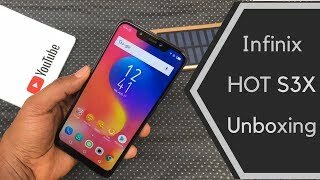 The resolution will be 720 x 1500 due to the display screen that did not exist in the basic variable of this phone, but this one is getting one and will be larger then all other smartphones. Infinix Hot’s S3X got an AI Selfie camera in addition to this Bokeh effect. The rear camera of the phone consists of a dual camera and a dual LED flash. A S3X dual-amp charger from the charger will charge a 4000 mA battery at high speed. Android Oreo OS is already installed and the Infinix Hot S3X XOS 3 platform is being used to release the Android platform.